This story is free for a week on Kristine Kathryn Rusch’s website and subsequently is available for sale as an ebook. It was first published in Asimov’s in August 2009. I don’t really get this kind of story, because it isn’t really a story. It is a fictionalised slice of life. 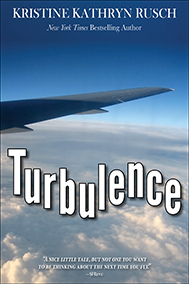 It is about a man who has flown a lot and experiences turbulence on a plane while sitting next to a fat passenger who can somehow predict that something bad is going to happen. Then they land. Yep. It befuddles me that it was published in Asimov’s, which is a science fiction magazine, because there is no science fiction in it. Or maybe I missed it.